Did you know Americans are spending over $20 a week on drinks from their favorite coffee shops. Instead of spending all this year after year, you could save money and still get one of the best espresso machines. Try a dual coffee and espresso machine like this one. This incredible coffee maker is available for less than $200 and can make all of your favorite coffee at home. Read our full Ninja Coffee Bar review to learn more. Considering a combination coffee and espresso machine? The Ninja Coffee Bar is one of the best coffee maker you can buy. It’s affordable yet high tech. Classic, rich, over-ice, specialty espresso drinks extra strong — whatever your idea of the perfect drink is, you can make it with this espresso machine. It’s capable of brewing the perfect amount of coffee for various cup sizes; from a standard size cup to extra large cup, travel mug and even a 10-cup coffee carafe. You can even froth milk hot or cold. Iced cappuccinos might just be your new favorite drink next summer. The Ninja Coffee Bar is incredibly cool looking. You’ll feel like a mad coffee expert using this next-generation machine, and the smart technology will make your experience even better. This machine comes with smart one touch intelligence technology to extract the exact amount of water needed from the reservoir every time. 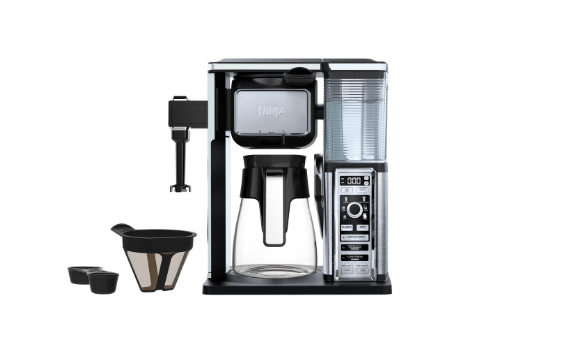 Our Ninja Coffee Bar Glass review has a lot of great things to say about this coffee maker. Affordable: The Ninja Coffee Bar is one of the most affordable, high quality coffee machine. 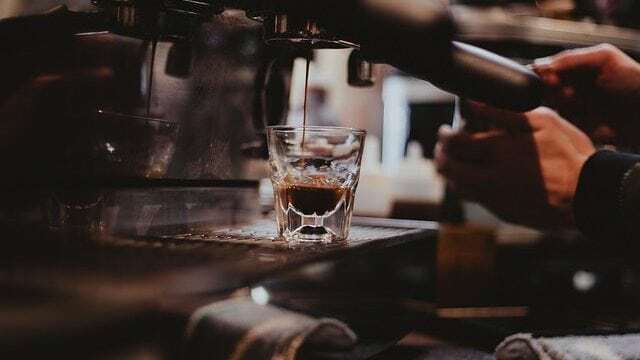 While you can easily spend over a thousand dollars on a machine, you can spend less on this espresso maker and still be able to make great drinks. Built-in milk frother: This frother will make your milk exactly the right foam for whatever brew types you like. You can choose between hot or cold. Easy to use: The dial controls and push buttons made it easy to specify exactly how you want your brew. High-quality materials: The Ninja Coffee Bar is made from high quality glass that’s thermally insulated so that your hot coffee stay hot and your cold coffee stay cold. 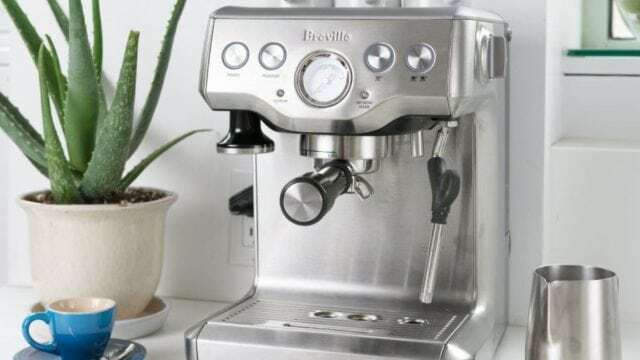 Six brew sizes: Whether you just need enough for your morning or you have friends over for brunch, this espresso maker will meet your needs. Choose from six brew sizes. Needs large space: This machine is large. It needs a lot of storage space or counter space for all the parts. 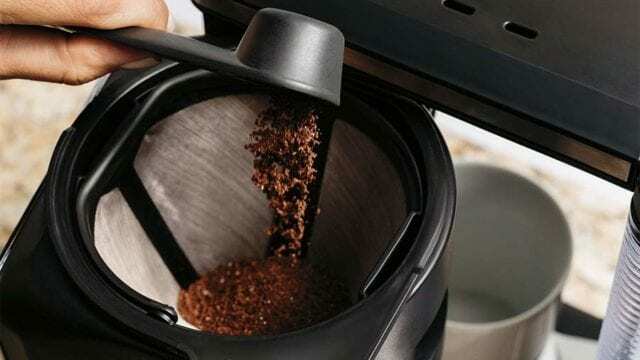 No built-in coffee grinder: Unlike several other espresso machines, this machine doesn’t come with a coffee grinder. You’ll need to take care of the coffee grinding in another way. No self-cleaning functions: Although cleaning an espresso machine is easy to do yourself, it’s nice to have a self-cleaning feature. Unfortunately, this machine does not. 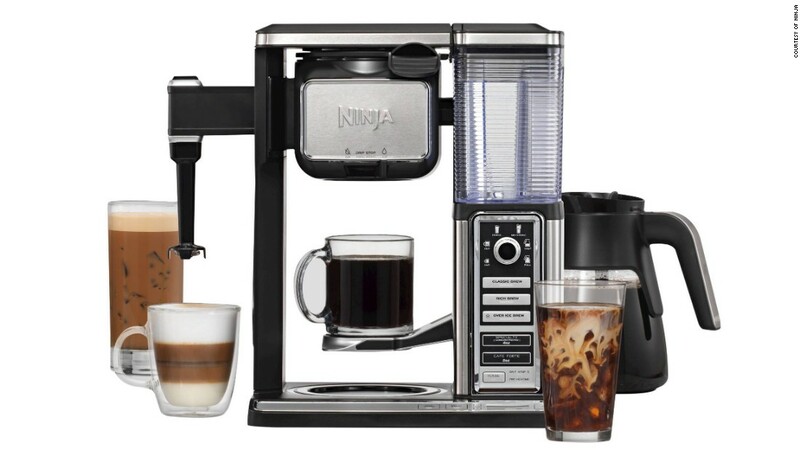 With the Ninja Coffee Bar, you won’t have to ever settle for a boring, repetitive brew again. 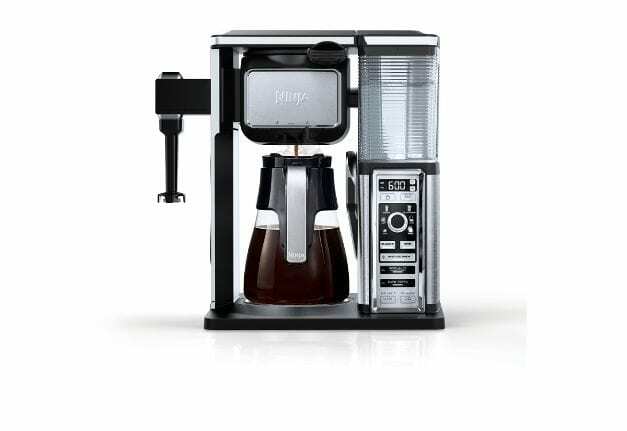 This awesome combination coffee maker brews classic, rich, signature, cafe forte and over-ice coffee or espresso in a variety of sizes. It comes with a 10-cup glass carafe, built-in steam wand, a recipe inspiration guide, a permanent filter and a removable water reservoir. The brewing options are endless. This dual machine is also one of the most affordable, especially considering all of its different functions. You have total control over the strength of your coffee, size of your coffee and the option of icing any drinks you want. Here’s another convenient feature that helps you make delicious coffee drinks every time you brew and is often praised in Ninja Coffee Bar reviews. The auto IQ one-touch intelligence extracts the perfect amount of water and pulls espresso shots for the right length of time to get the best flavor and to match the flavor and strength you pre-selected. The smart feature measures the coffee grounds for you so you don’t any guesswork here either. When it’s time to clean your espresso machine, a cleaning light will come on automatically. The built-in milk frother is capable of making light or thick foam for hot and cold drinks. Simply add more air to adjust how thick you want your foam. The only downside to the built-in frother is that it doesn’t the steam milk for you. If you want warm foam or warm milk for lattes and cappuccinos, you’ll have microwave the foam for a few seconds after frothing.  Still, this amazing feature is often a customer favorite that is frequently mentioned in Ninja Coffee Bar reviews. The glass carafe system comes with six brew size options. You can brew for a standard-size mug, an XL cup, a standard-size travel mug, an XL multi-serve travel mug, a half carafe or a full carafe capable of filling ten individual mugs. You’ll also love the intelligent warming plate. It automatically adjusts its height to accommodate whatever size brew you choose. After two hours, the warming plate shuts off automatically to prevent burning any leftover coffee or espresso. Most single-serve coffee and espresso machines like Nespresso and Keurig require you to use special pods specific to their brand. The Ninja Coffee Bar allows you to make single serve coffee with fresh coffee grounds instead. The ability to use coffee grounds instead of pods means you can choose your favorite beans and grind them right before brewing. This gives you fresh coffee or espresso every single time. You’ll feel like a pro using the Ninja Coffee Bar, even if you’re an espresso or coffee brewing rookie. This machine does all the work for you with thermal flavor extraction technology. You can choose to amp up the flavor richness profile or tone it down with the touch of the button. 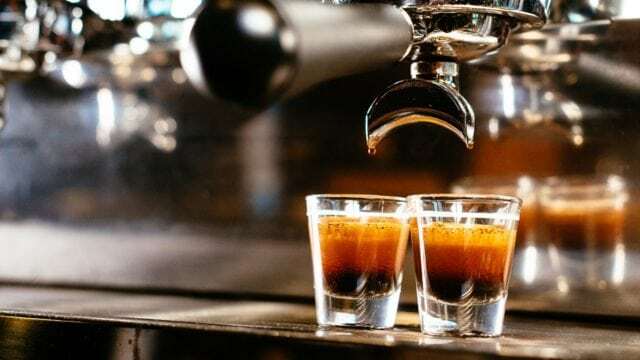 You can select the strength of coffee, espresso, hot and cold specialty brews. The Ninja Coffee Bar comes with a one-year manufacturer’s warranty that includes the cost of replacement parts and labor. If you want to ensure your combination coffee and espresso machine for longer than a year, consider an extended warranty from one of the popular retailers. We’ll go over the basics of these warranties in this section of our Ninja Coffee Bar to help you decide which warranty is best for your needs. After our Ninja Coffee Bar review, we feel that this coffee machine is ideal for any coffee lovers with its endless brewing options. 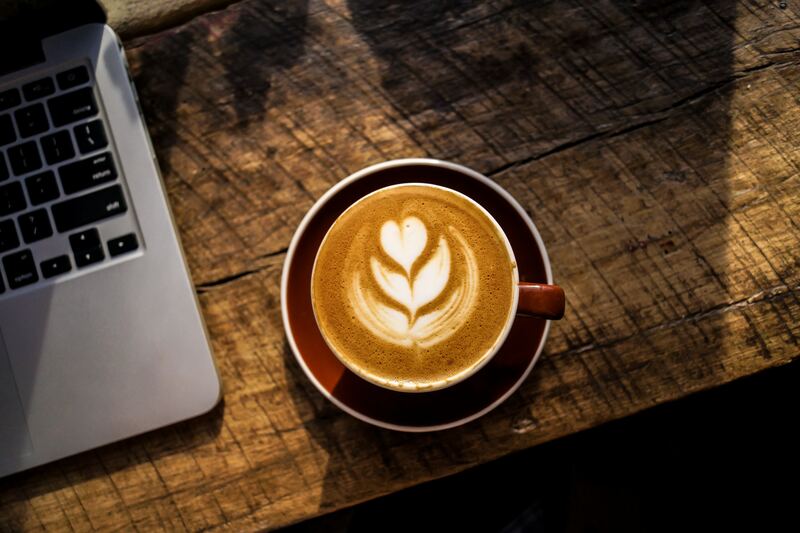 It’s one of the best dual coffee and espresso machines for large families or office spaces with many people with different drink preferences coming and going often. 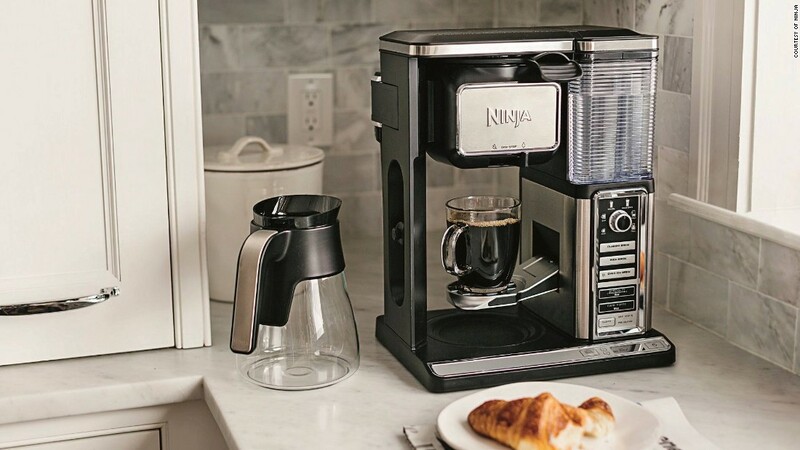 It’s capable of brewing espresso, coffee and a variety of specialty brews either hot or cold with just the touch of the button. 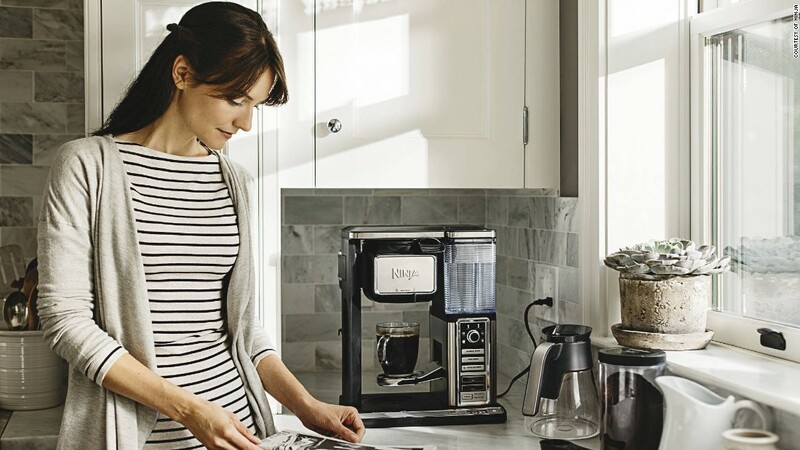 The auto IQ one-touch and smart scoop technology turns even a novice coffee or espresso brewing into a pro. The one downside to this coffee and espresso machine is that it doesn’t steam milk to warm it up. Instead, it features a built-in frother that foam milk cold. You’ll have to pop your foam in the microwave for a few seconds to warm it up for hot drinks before serving. However, this machine is still a great option for the low price. We highly recommend the Ninja Coffee Bar. 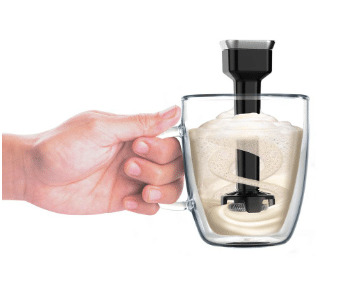 Have you tried this espresso maker? If so, leave your own Ninja Coffee Bar review below!